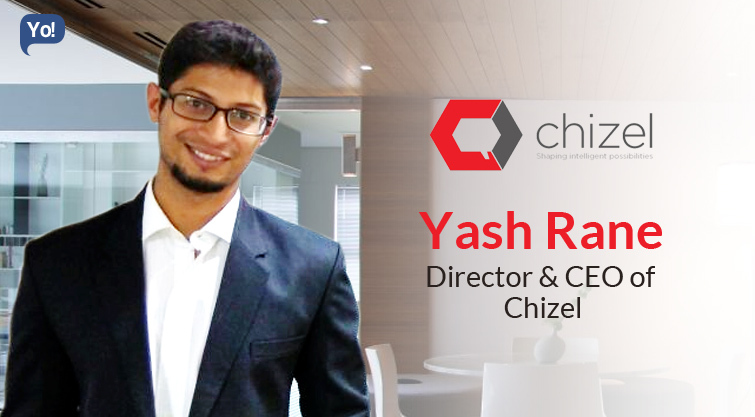 Yash is a strong believer in goal setting and focuses most of his time pouring energy into accomplishing that goal. He is known to take his passion extremely seriously. He has an expertise in 3D printing, CAD, and product design. He has completed his B.Tech in Mechanical engineering from IIT Roorkee. He has taken up several roles at American Society of Mechanical Engineers. His latest venture comes in the form of Chizel. It is one of the most promising organizations with the vision to launch true mass-customization to the luxury consumer grade products. Chizel is a design-additive manufacturing studio with a vision to launch additive manufacturing for consumer grade products. WE offer on-demand additive manufacturing service that enables a company or any individual to access industrial grade 3D printing from any geographical region. With 3D printing industry emerging lighting fast, we aim to build diverse materials, automated design standards and consistent quality through single online platform. I was working as Purchase manager in HVAC industry. That was the time I got hand on experience with additive manufacturing. The more I read about this technology, more I realised the kind of impact it creates on individual’s life. The technology that fabricates the product layer by layer has the potential to make anything and everything without limitation. Now, the limitation is what you can imagine. The technology has potential to enable consumer to customize the products on their own exactly the way they want. That is the best thing that can happen to individuals giving them a product made only and only for them. I believe that mindset is individual’s capability of thinking in the way they are not. When I started my company, I tried explaining my concept to my primary acquaintances. Somehow they were not able to connect with all design and manufacturing coming online. Slowly, I started realizing that the problem is not with my idea but their ability to swallow what goes top of their head. Focusing on why we are doing is more important, how and why we are doing it. Ergo, today we are not seeking investor. We are seeking strategic investor who understands not just business but the reason why we are doing this. Right from the first day, our focus was to build a profitable company together with creating great value for our customers. To do that, we always focussed on working very closely with customers. WE use to offer services and parallely brainstorm what, how and why should our product exist. Our initial team was taken aboard slowly. Today we are team of 7 members with clear roles. Till date, we have served around 80+ customers generating revenue every month. Chizel has not raised any funds till today. Perseverance: BE very patient. One should be mentally prepared that nothing is going to happen in 2 years. Learn from first time entrepreneurs who have built up businesses without all the x-factor of institutional investor. Commit atleast 3 years (1000 day RULE). If it does not work in 3 years, take a holistic decision. Discipline: will make founders mentally strong to run consistently for atlleast 3 years. Improper sleeping, diet and lifestyle affect working hours. Stretching work for more than 10 hours is not a solution. Sacrifices: Accept it or not, but as a founder, sacrifices will come. Rather than cribbing and feeling dissatisfied, accept it with grace. Own your decision and stick to it. I spend most of my leisure time reading articles on yourstory, Entrepreneur.com and crave.com. I handle entire digital marketing using BUFFER, it is a neat app to control all social channels. With my team, I use SLACK to exchange content and tasks. SLACK very much like WhatsApp, but gives you flexibility to create sub-groups. If you are a design company, make sure you spend good amount of time on Pinterest. Ideas are not born; they are inspired by the way you reflect them. I have this habit of writing all my tasks of the day as soon as I reach office. This defines a clear target for the day. I make sure that I do not add too many tasks in that list leading to over-commitment. When I wrap up my work by the end of the day and if I am able to strike out all my targets, the sense of accomplishments gives me boost to repeat is with same intensity again tomorrow. Also, it keeps record of my every single day. As a matter of fact, I have record of every single hour of every single day I have spent in last six months. “Learn to say NO and stick to priorities”. Do not take NO for an answer. Take it as a challenge and find a solution. Develop the mind-set to find a solution for every NO and the innovation reveals on its own. Falling in a trap of “what has worked for him will work for me”. Your acumen is the average of 5 closest people you hang out with. Our aim is to launch true mass customization for consumer grade products. I will aim to become financially independent at very early age. Idea is to go out, make friends, meet new people and explore myself so that I will be very sure of what I have to do with my life.